Hello, everyone, and thank you so much for having me here today to chat about my latest release! 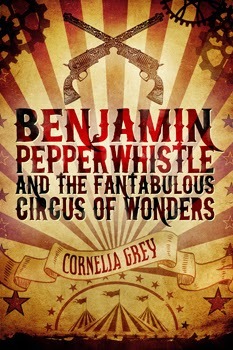 Benjamin Pepperwhistle and the Fantabulous Circus of Wonders was originally released as a short story, part of Storm Moon Press’ Weight of a Gun II anthology. There was a word count limit, of course, and I had to struggle to fit all I wanted to say about the characters within that length – ahem, I might have even gone slightly over the limit, in fact! It’s always a good challenge to have to carefully prune every superfluous word and every paragraph of waffling, making sure every word counts. It’s one of the reasons why I’m so fond of writing short stories, and why I’m looking forward to trying to write for younger readers as well: there’s no room for waffling about. In a shorter format, every meandering description, every useless digression from the core of the story, becomes much more evident than what it would be in a novel. That’s why I’ve always felt that writing short stories is a task that requires a lot of fine tuning and chisel work – I like to think of it as something similar to the pruning of a bonsai, where great care is needed to obtain a miniature version with all the characteristics of something bigger. However, in this case, I felt that I was leaving out more than extraneous padding. 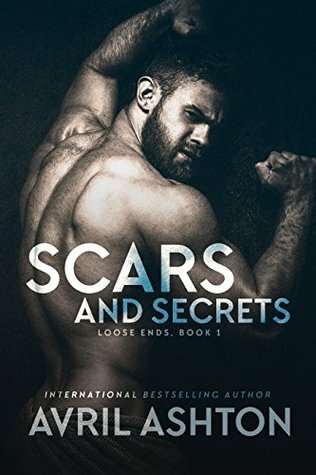 Benjamin and Cole were not quite finished telling their story, and I couldn’t help but feel that cramming it in a short story word count meant I had lost something interesting. So when the time came to release the story as a stand-alone, it was a great opportunity to fix that! Benjamin Pepperwhistle – Director’s Cut features over 7500 words of new material, and has evolved from a short story into a novella. It’s the first time I had the chance to go back to a story after over a year to add more to it, and I was a little concerned – what if I could no longer slip in the characters’ heads? What if I had forgotten about them? What if they no longer wanted to tell me about what was still missing from their story? 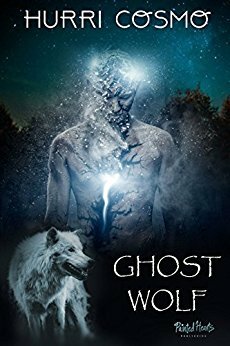 But it must have really been the case that I had skipped over something that really needed to be said, because I was pleasantly surprised at how smoothly the words came out, naturally flowing to fill a gap in the story I couldn’t even see. The scorching tension that I’d felt so many months before between Benjamin and Cole was still there, sizzling and exciting, still ready to be explored and unleashed through the medium that binds them in this story, that brings them together – the gun. I had the chance to explore a whole new side of Benjamin, and a secret side that Cole had yet to reveal, too; I got to see a brand new dynamic play out that caught me and fascinated as if I had just penned the entire thing. It was like getting back to a torrid affair I thought had ended forever long ago, and finding it just as smoking hot as I had left it! I hope you will all enjoy this new peek into Benjamin and Cole’s relationship as much as I have :)!